It is exciting to watch your favorite sport, especially if your team is playing, and football is considered the most popular participation sport in the world. Millions of people, at one point or another in their lives, have dreamed of becoming a professional footballer and playing in one of the top leagues in the world. Obviously only a select few make it and most of us have to be content with being fans. However, that shouldn’t stop you pursuing your dreams and if you have ever dreamed of becoming a football, then you have to work hard to achieve your goal and it requires commitment and devotion. You may be wondering how the likes of Lionel Messi and Cristiano Ronaldo got to the top of the game; they started at the bottom like anyone else and worked their way up through hard work. You aren’t different – you could make it as long as you have the same determination. To get started, let’s look at the various steps you must go through to become a successful football player. There’s quite a lot to learn about the game at Lionville Soccer. You may wish to be a professional football player; however, are you prepared for the challenge? For you to succeed in the football industry, it is essential that you love the game. You must have a basic desire to play football and enjoy the game rather than just be in it to make money. This will give you the determination needed to help you overcome the challenges involved in becoming a professional footballer. 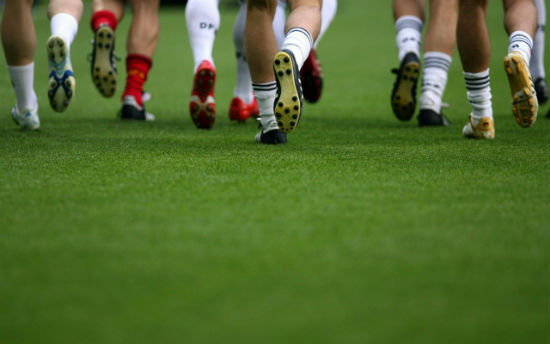 It may sound obvious, but in order to become a professional footballer you have to train hard. Training is vital for any industry but it’s particularly vital in sport, and football is no different. You need to spend hours on the training pitches improving your skills but you will also have to show dedication in the gym to improve fitness levels and work on physical attributes. Footballers typically train for at least 3 hours each day but the more you put in at an early stage, the more chance you’ll have of making it. While training to improve skills and fitness is important, it is also critical be intelligent and learn the art of football. In order to do this, you need a good coach and you must be prepared to listen. There is no point being a talented young player but not showing a willingness to learn and do what your coaches tell you. A top coach will assess your strengths and weaknesses, determine your best position on the pitch and highlight areas you should work on to improve. You have the desire, you train hard and you listen to your coach but none of that will count for anything if you don’t have belief in yourself. You need to have confidence in your own ability and not let any setback derail you from achieving your goal. Many footballers are turned down many times during their early years, told they’ll never make it as a professional, get released from clubs but still fight and do everything they can to get to the top. Don’t let anything knock your self belief!